Pilates is a safe and highly effective low-impact way to stretch, strengthen and streamline your body. Pilates helps to develop optimal strength, core stability, flexibility, endurance and posture, without building bulk or stressing your joints. Pilates is the perfect complement to cardiovascular exercise, athletic training and rehabilitation. 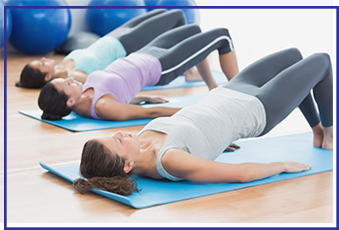 Usually performed on a mat, pilates is a fitness program designed for the individual. Postural imbalances are identified, muscular imbalances are re-balanced. Trusted by Olympic Champions. Trusted by Olympic Champions. Pilates exercises are often given by our physiotherapists as a regular part of your treatmentWith osteopathy, physiotherapy, pilates and sports injury clinics in kings cross and Shoreditch, we are conveniently located for Central London, the City, North, West, South and East London. Our Pentonville Road clinic is serving Islington, Kings Cross, Euston, St Pancras, Moorgate, West end, Camden, City, Chelsea, Harley Street, Kensington, Knightsbridge and post codes:N1, W1, W2, W8, NW1, WC1, WC2, EC1, EC2, EC3, EC4, SE1 for a complete health care.